Diameter is measured from tip to tip of the edge of flowers, not the base of the wreath used. We recommend measuring your space to determine the correct size prior to ordering. Why should you purchase from my shop? 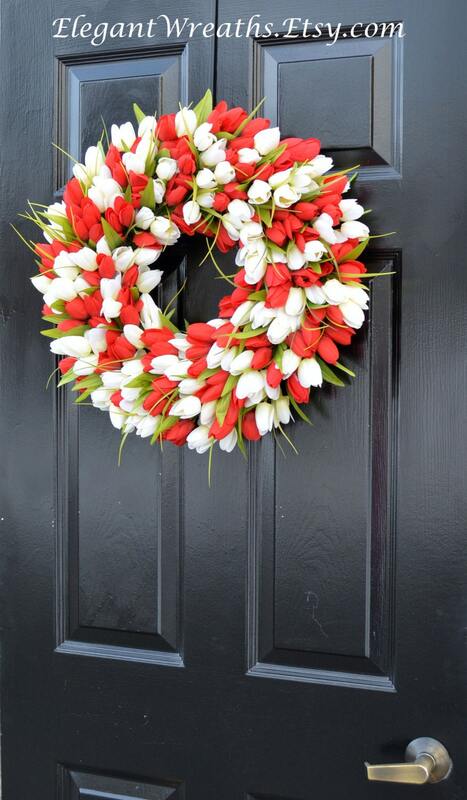 -All my creations are originals (like my Tulip wreaths created in Feb. 2011). I always strive to create large, full wreaths at competitive prices. 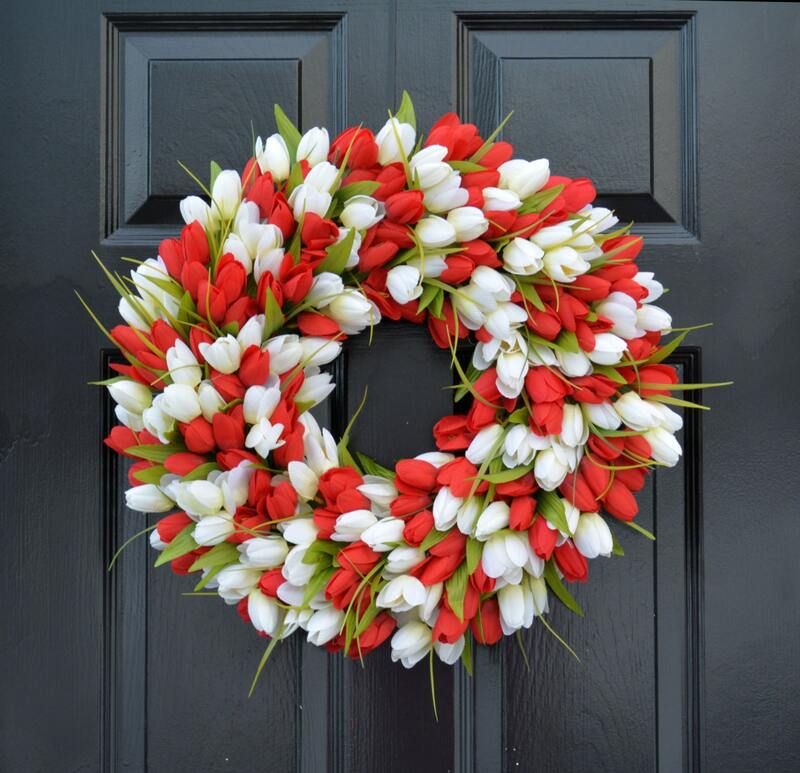 My goal is to provide you with a unique wreath that will "wow" your neighbors and friends! If you need a custom or smaller wreath don't hesitate to contact me. - My wreaths are professionally shipped through UPS and shipping costs include insurance. I personally pack every box to ensure that it arrives safely and in perfect condition. - Returns are easy. 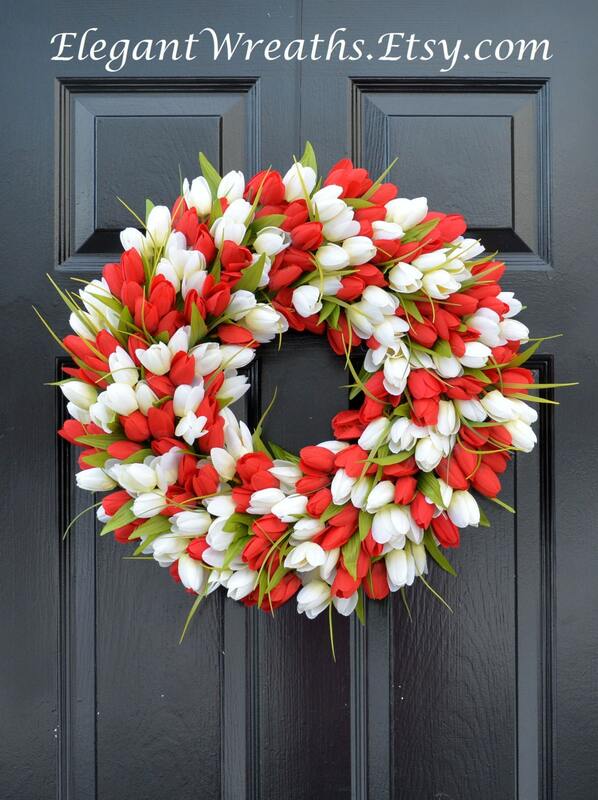 If you do not like a wreath that you purchased just contact me. You will have to pay the return shipping, but you can use my shipping discount as opposed to paying two to three times at a retail store. It saves you time and money. - Gift messages are always complimentary. Giving a gift to someone special is worry free. - I have four years of wreath making experience in all forms of wreath types: silk, dried floral and evergreen. I purchase supplies that are Made in the USA whenever I can. As a result my wreaths have been selected to be featured on ABC's Extreme Home Makeover Edition and many blogs such as http://blog.charterhomes.com. - Finally, I LOVE my customers and always feel honored that are displaying something that I've created in their home. 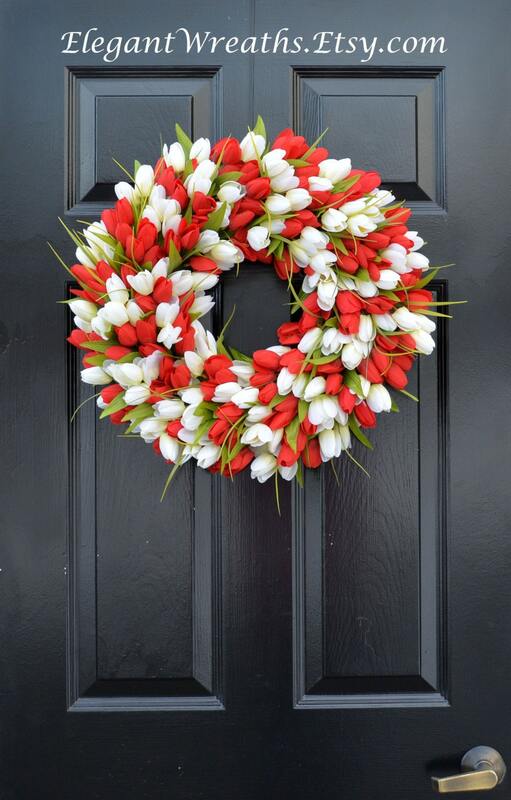 Every wreath made is double and triple checked to ensure that the wreath looks like the original and that the recipient will love what they have purchased. Thank you for your support! Just love my wreath.. So proud to hang it on my front door for the world to see!